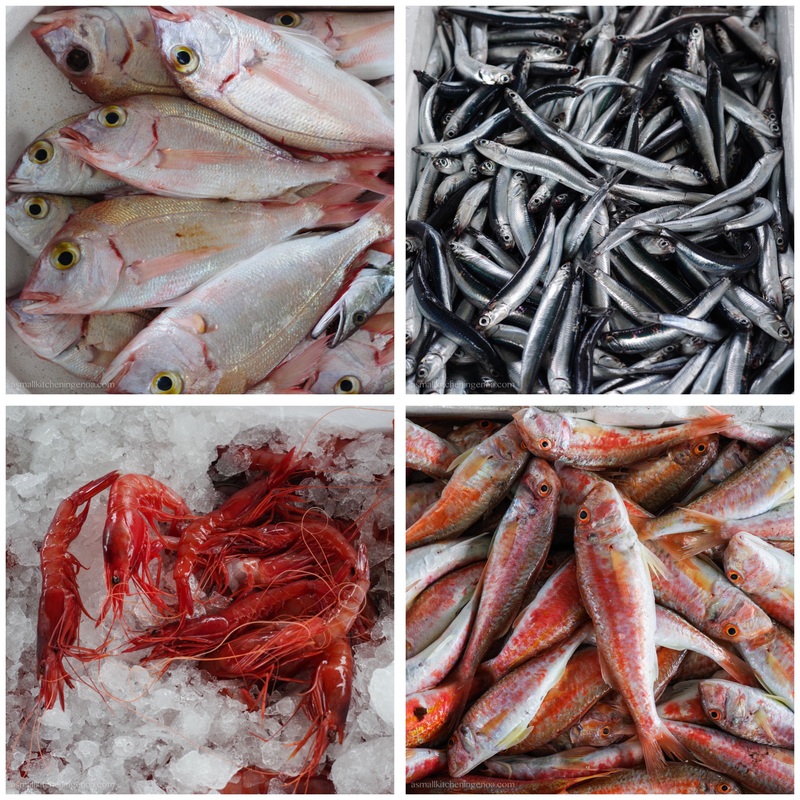 Genoa fish market: just fresh local and seasonal fish. 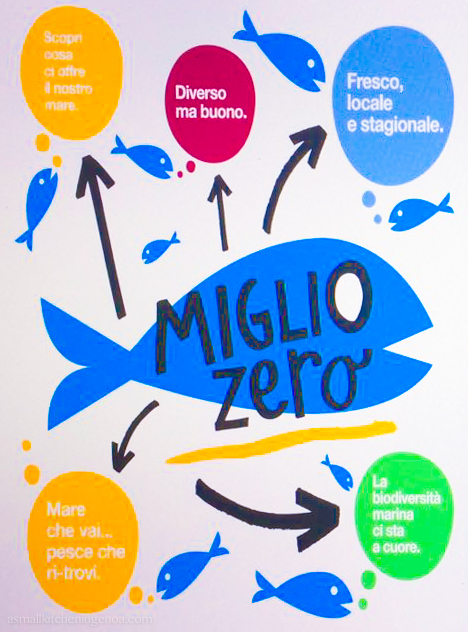 In Genoa, in the heart of the ancient harbour, it is still possible to buy from local fishermen a “zero miles” fish, just landed by fishing boats and often still alive. Every day of the week, morning and afternoon. Did you know that? Indeed, in Calata Vignolo (just next to Galata Sea Museum) in a beautiful piling with glass windows and blue steel poles the Genoa fish market is active since year 2013. 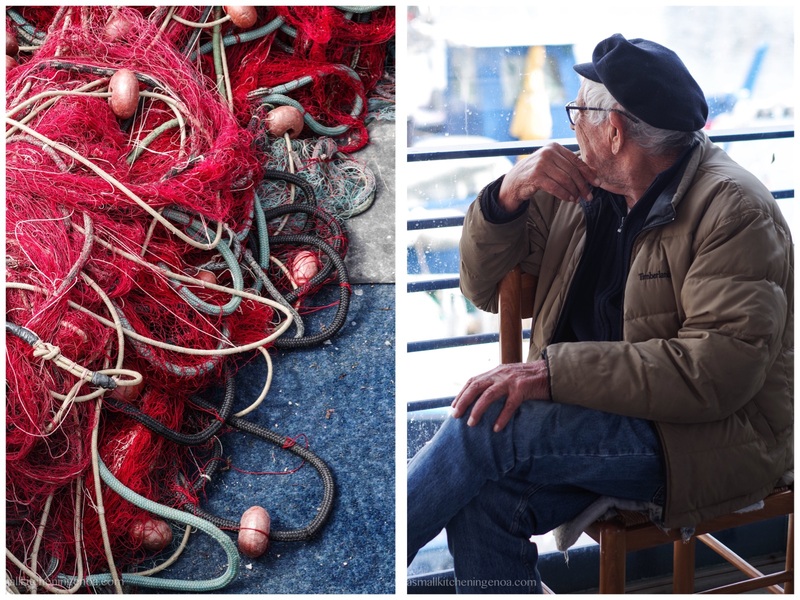 There, along the quay, Genoese fishermen of 10 cooperatives discharge and sell the result of their daily fishing along the Genoa coast from Portofino to Arenzano. It is a point of first sale: the fish not sold there is then redirected to the general fish market for sale the next day. The coolest fish you can find in the city, then. I love buying fish directly from the hands of men who have fished it during the night. It is a way to take part and make a tribute to their hard work. 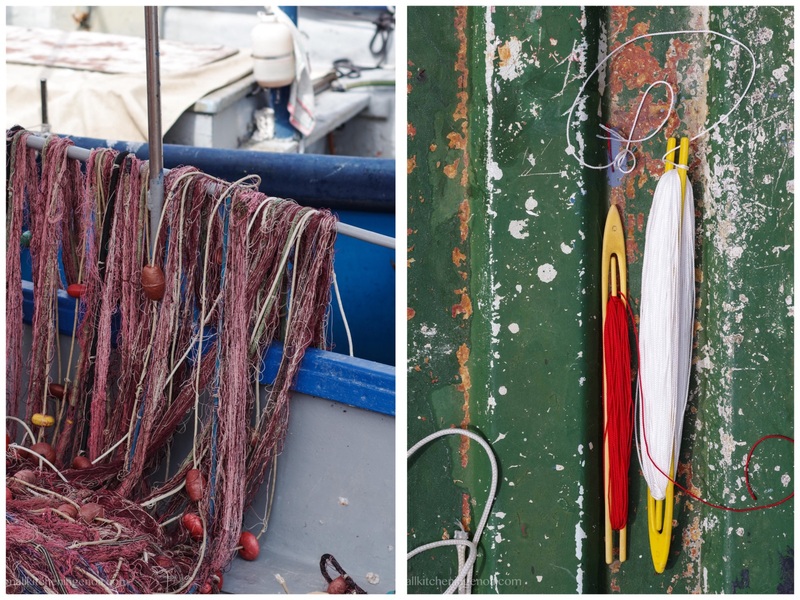 And then I would spend hours on the docks, between crates, nets and baskets, watching the tired fishermen silently gathering their nets, checking them metre by meter and if necessary repairing them, always concentrated and deep in their thoughts. 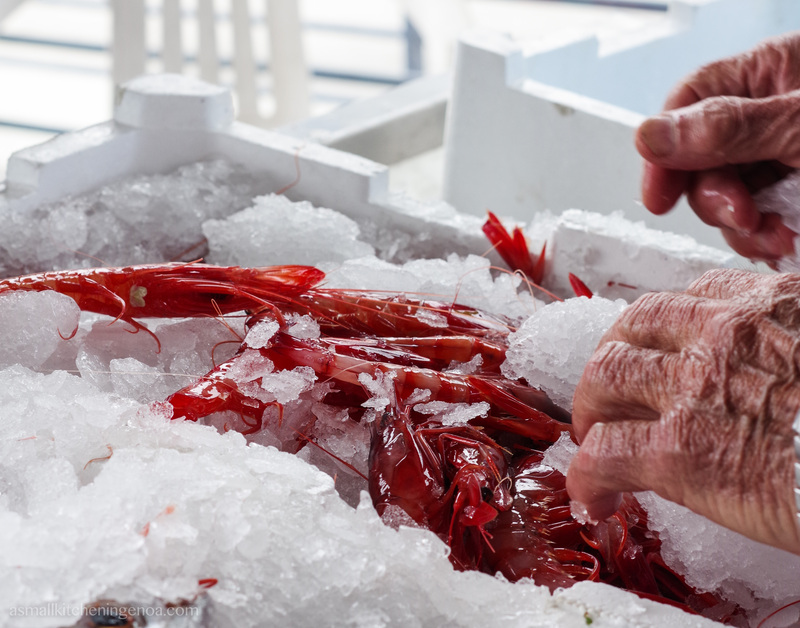 At the Genoa fish market you can find only local and seasonal fish. You can buy hakes, goatfishes, shrimps, octopus, anchovies. 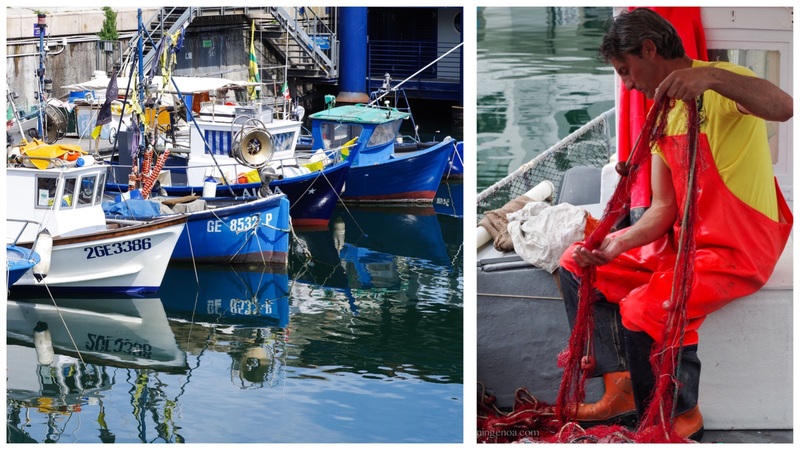 The very same fish that Ligurian fishermen and Genoa families brought to the table every day before fishing became a global marketplace question (Did you know that about 70% of the fish sold in Italy is imported from abroad?). it has a very short chain and it’s origin can be easily traced. 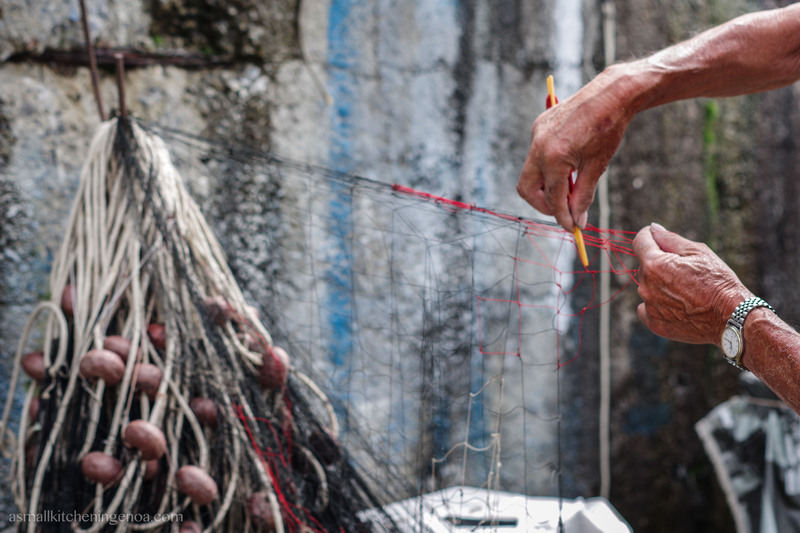 You can see with your eyes the fisherman who frees the fish from the net and puts it in the box. 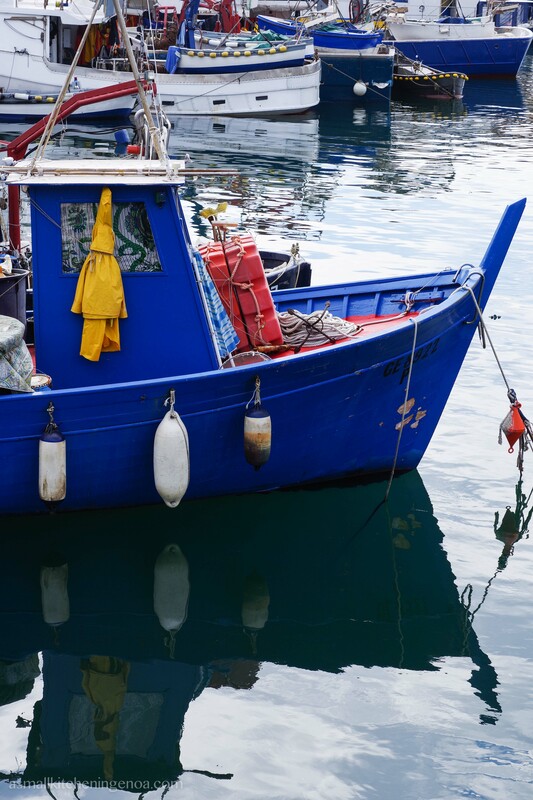 A great and concrete opportunity, then, for both consumers and fishermen to appreciate, value and promote local fish. 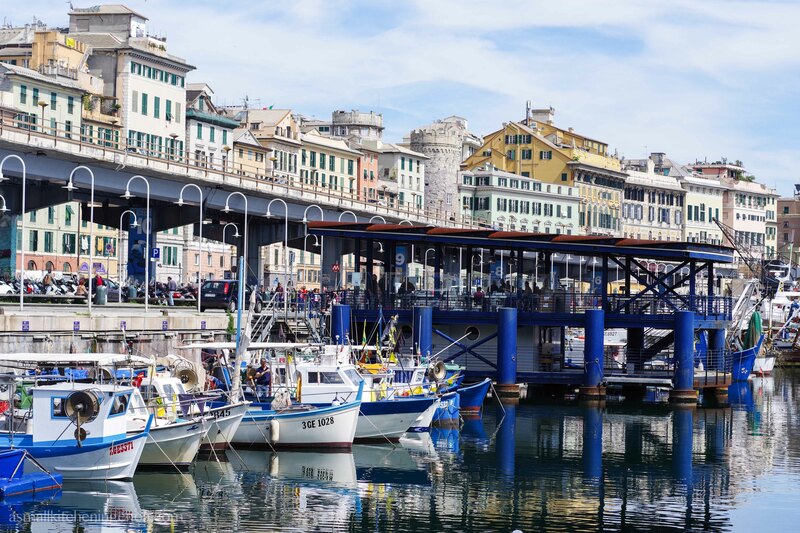 In Genoa fish market furthermore (and this is a great advantage over normal fisheries) fish can be bought every day of the week (Sunday and Monday included), weather permitting obviously. 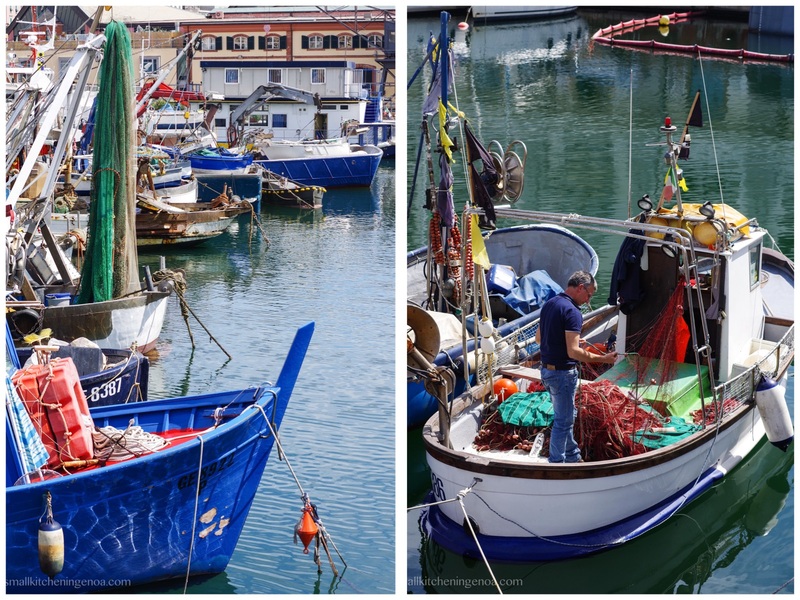 In the afternoon (from 14:00 to 17:00), trawlers arrive with prawns, shrimp, cuttlefish, squid and octopus and bigger fishes. Among the future projects at the Genoa fish market there is that to create a spot where to savour the freshly caught fish cooked at the time by the fishermen (of them used to be a chef!). While waiting for this beautiful initiative to take place in the ancient port area, it is already possible to eat (and take away) freshly landed fish in the small restaurant GE8317 (it is the fishing boat registration number) recently opened in the gorgeous beach of Boccadasse by a bunch of young enthusiastic fishermen. The perfect place where to take a box of fish&chips and eat it directly on the beach drinking a cool beer! i went there today. there is no such thing as buying from fisherman anymore. the police said the market closed. there was a boat unloaded their caught of the day but straight away bring boxes of newly caught fish into a car and drove off. husband quite dissapointed and keep on blaming me for not doing proper research about the fish market. was not a pleasant trip. tried to find fish market near by but cant find any as no one speaks english there. Dear Ja, I’m sorry for your bad experience. However, for the sake of clarity I immediately checked with the president of the association of local fishermen managing the market and he said that the market is indeed still active. When you went, unfortunately, there were no catch of the day because of the bad weather conditions (it was stormy) and because January is a low fishing season in Liguria. This market sells only fresh just caught fish. If the conditions are bad, no fish. During spring and summer time it’s open all the days and has a big variety of fishes and seafood, the very same I reported in my post. However I’m sorry you didn’t find what you and your husband expected. Cheers.